This program covers some of the early history of Alberta; the transition of land use from First Nations and Metis to Ranchers and Farmers. Your class experiences the land through the eyes of the people of the 1880’s. 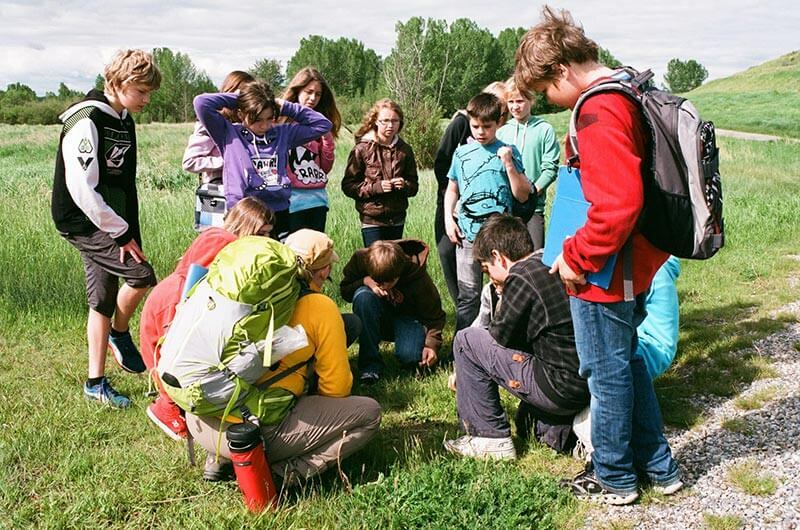 Students use inquiry-based learning to answer questions and explore the natural landscape from a historical point of view. 2. European uses of trees and plants for new tools and homes. 3. How European settlement quickly changed the landscape. Locations outside of Calgary for Rural schools include: Long Prairie Ridge, the Cochrane Ranche historic site and Yamnuska Meadows. Locations inside of Calgary for CBE schools include: Fish Creek Provincial Park - Voiter Flats, Bowness Park, Edworthy Park, South and North Weaslehead natural environment park, Nose Hill park and Stanley Park. Book a full or half day of adventure and discovery of the human and natural history of the Calgary area. This program takes students back in time. How did ranchers know where to dig a well? What plant stops bleeding? Where did the Metis prefer to place their trap lines? What was the original grass that supported cattle in the winter? 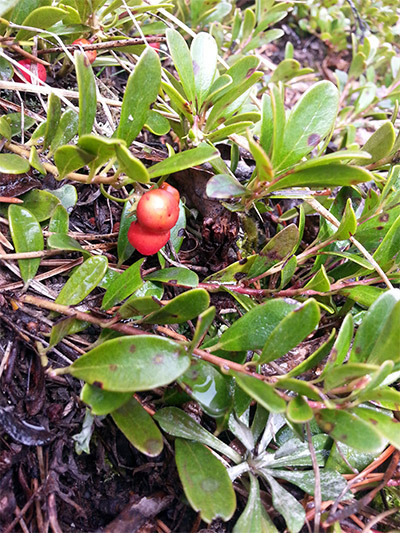 The human history of the land and early people’s uses of plants. Inquiry based learning about plant identification and habitat. Exploratory learning about interactions between trees, plants, sunlight, slope and wildlife within 3 Eco-systems. The human impact on the land over time. How different world views, create very different outcomes for a landscape. 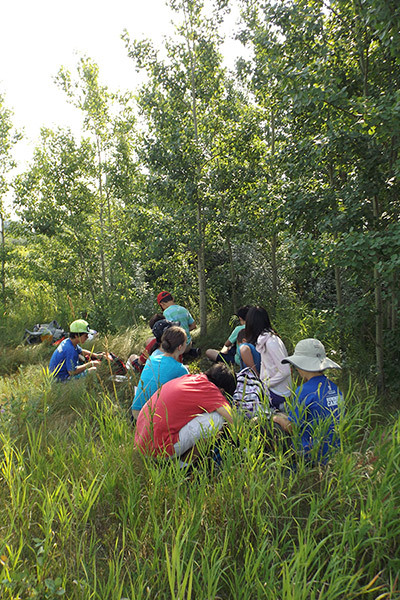 This program ties in with Science Units A and B: Plants as Food and Fibre and Interactions and Eco-systems. Locations outside of Calgary for Rural schools include: Long Prairie Ridge, The Cochrane ranch historic site and Yamnuska Meadows. Locations inside of Calgary for CBE schools include: Fish Creek Provincial Park - Voiter flats, Bowness park, Edworthy park, North Weaslehead natural environment park, Stanley Park and Nose Hill Park. *Please contact info@full-circle-adventures.com to set a date for your program. "Thanks again for a fabulous field trip! The kids (and the teachers) had an amazing time and we all agreed that we should have come for a full day because it was so fantastic." Sign up for our newsletter to receive promotions on nature walks, native edible plant courses and super healthy wild-crafted recipes! The newsletter comes out once a month from January to September.